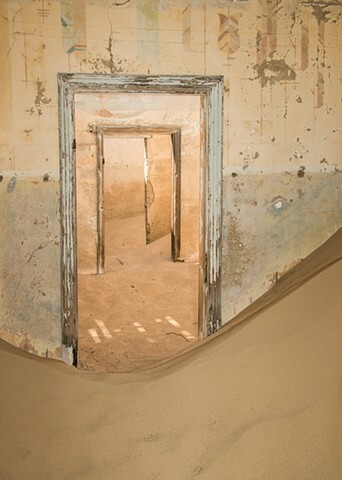 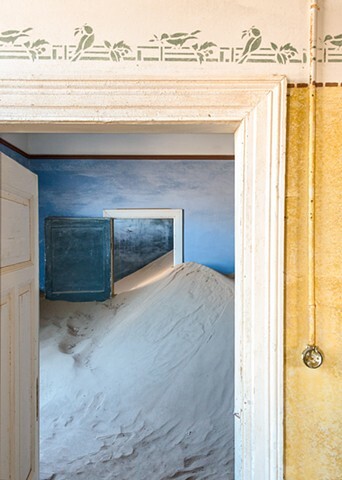 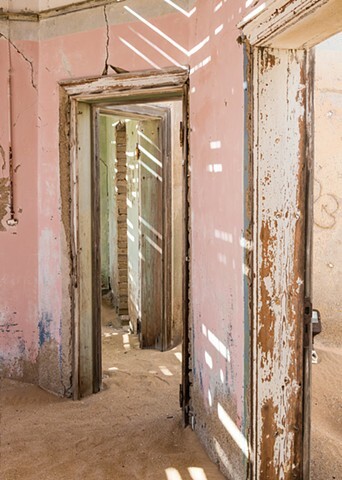 An abandoned diamond mining town near Luderitz on the east coast of Namibia. 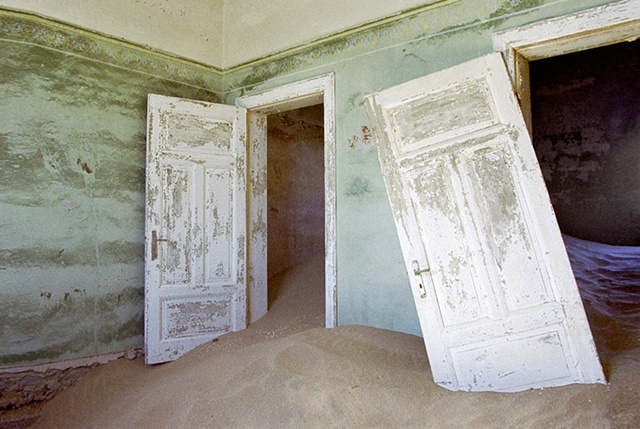 You never know when you poke your head through a door what you might see. 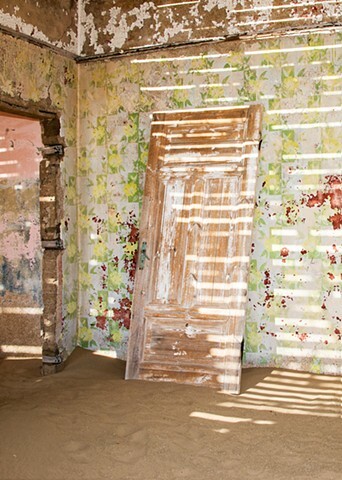 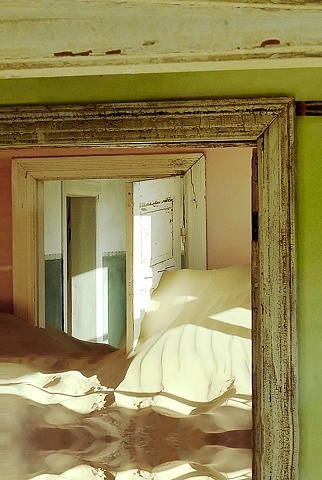 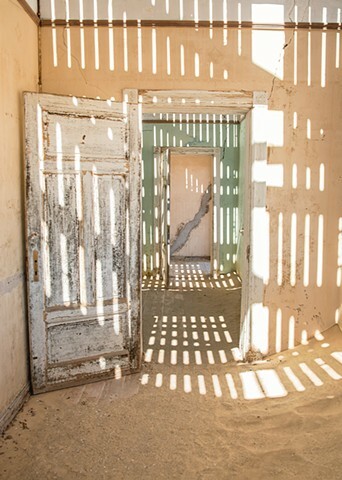 Some of the rooms take your breath away, with shadow patterns on the sand or beautiful colours on the walls. 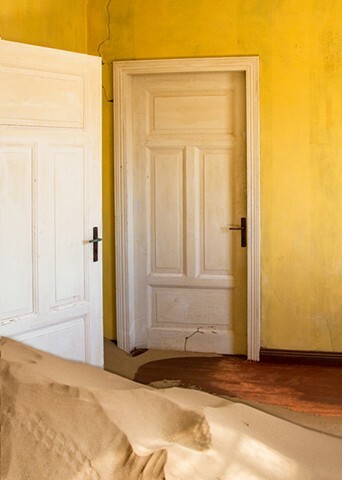 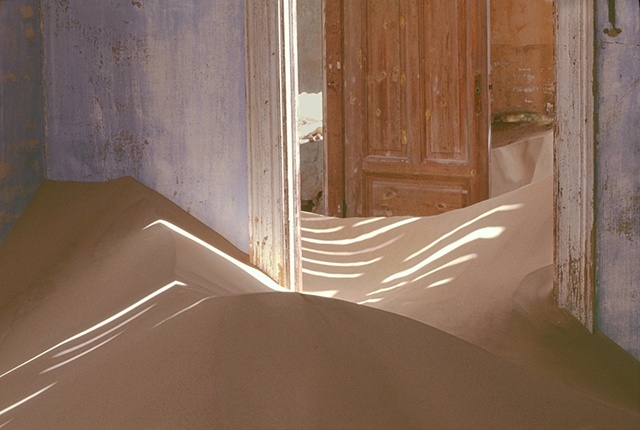 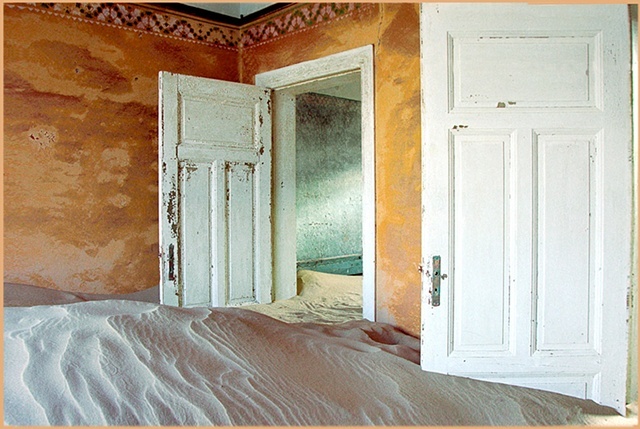 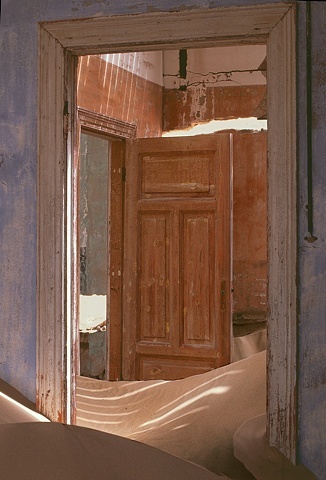 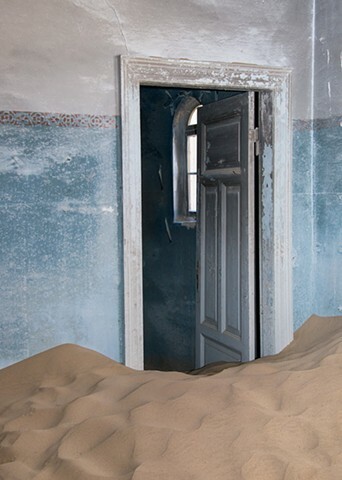 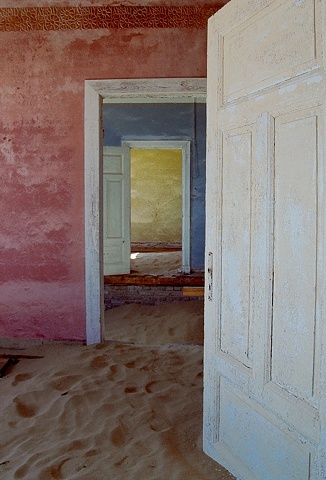 The first 6 photos are newer ones, with amazing shadow patterns on the sand and spectacular colours in the walls.